Your email address is an important part of your online marketing efforts. If your email address is professional, you look polished and trustworthy. If it’s not, you might appear out-of-touch or unprofessional. This is less of a factor if your clients are older. But if you are treating teens or young adults, you better believe they’ll pay attention to your email address. One option is to pick a free address that still looks professional. YourNameCounseling@gmail.com is a good option, as is TheNameOfYourPractice@gmail.com. Gmail is usually your best bet for free email, although Hotmail is okay too. Unfortunately, even if you snag a great free email, there’s still a big problem – only paid email has the features that you need as a therapist. See, only paid email accounts allow you to use your own domain name in your email address, and only paid email accounts allow you to stay HIPAA-compliant. Instead of being YourName@gmail.com, you can use YourName@YourDomain.com. And instead of risking a HIPAA violation, you stay secure. Plus, they’re not that expensive — Google Apps is only $5 per month per user, and other providers are not much more. So it’s a worthy investment. But of course, you don’t need to take my word for it. Here are two big reasons why paid email providers are worth the cost. Let’s say you’re traveling in a foreign city and looking for a place to eat. Would you rather buy dinner from the shady-looking food stand that looks like it was set up an hour ago, or the restaurant with a permanent location and uniformed staff? If you’re adventurous, maybe you’d prefer the food stand. But you probably agree that your chances of food poisoning are much less if you go to the fancy restaurant. Anyone can set up a food stand in a few minutes, so there is no guarantee of quality. But a restaurant that has invested lots of money in a permanent building has a lot of lose if they fail a health check. So you can probably assume that the permanent restaurant has invested more in their quality controls, and is a safer place to eat. As you might have guessed, this is a metaphor. Anyone can register a free email account in seconds. But having a custom email address on your own domain takes time and money. 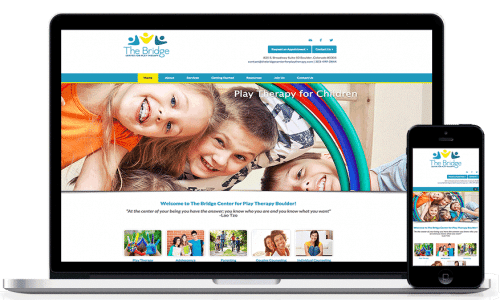 When you invest the time and money to get a custom email address, you’re showing clients that you are the real deal. You’re showing them that you’re committed to your practice, you’re willing to go the extra mile for quality – in short, that you’re a professional. 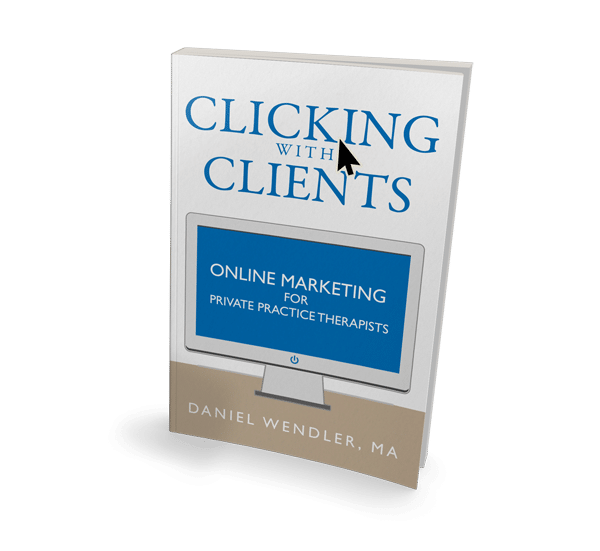 Of course, most clients won’t consciously choose a therapist based on their email address. But every piece of your marketing – your website, your logo, your email address, etc – influences the way you appear to potential clients. While your email address is unlikely to consciously sway a client, it contributes to their overall impression of you. The more positive their impression of you, the more likely they are to book a session with you. I understand if you feel reluctant to pay for email when you can get it for free. But think of it this way. Google Apps costs $60 per year, which is about what most clinicians earn from a single therapy session. If a professional email address helps you get one extra session per year, it pays for itself. To me, that seems like a safe bet. I’m not a HIPAA expert, so you should take this with a grain of salt and consult with an expert if you need to. But my understanding is that free email providers are not HIPAA compliant, which means that if you have patient records in your inbox there’s a chance you could be on the hook for a security breach. Fortunately, the paid email providers that I recommend will sign a Business Associate Agreement with you, which means that they are a HIPAA-compliant option. You will still need to take some common-sense precautions to ensure that you are HIPAA-compliant (a BAA won’t save you if you leave your practice’s email open on a public computer, for instance.) But assuming you take the appropriate precautions, a paid email account will provide some extra protection against a HIPAA violation. There are a lot of HIPAA-compliant email providers out there, but you really only need to consider two. These two are the most well-known, which means they’re almost certain to stick around for the long term. First, there’s Google Apps. Google Apps is the best option for a lot of people, because it lets you keep using all of the Google services you’re used to (gmail, Google Calendar, etc) with your custom domain. So there’s no need for you to learn a new system. It’s also pretty affordable – it costs $5 per user per month. If you are a solo practitioner, then you pay $60 per year. If you have multiple clinicians at your practice, you can either pay $60 for each of you, or just create one central email address and share it. You can sign up for Google Apps here. Setting up Google Apps can be a little technical, but they have a lot of support guides and you should be able to do it in an hour or so. If you have any questions, use this link and a Google rep will walk you through the process. Make sure that you sign up for HIPAA compliance, which you can do here. If you want more security than Google Apps can offer, then you probably want Hushmail. Like Google Apps, Hushmail is HIPAA-compliant and allows to you use your own domain name. Unlike Google Apps, Hushmail allows you to send encrypted emails that only the client can open – even if someone else is in their inbox. Hushmail solves the problem by letting you ask a question that only the client knows the answer to. For instance, you might ask a client “When was our last appointment?” or you might agree on a pre-arranged question and answer. In order to open the email, the client must supply the correct answer. If someone else is snooping in the client’s inbox, your client’s confidential information is protected. The downside is that Hushmail is $10 per user per month, and it doesn’t include all of the nifty extras of Google Apps like Google Calendar. For most people, Google Apps is probably the better choice. But if you work in a more sensitive area of therapy (such as addiction treatment), or if you just want the highest level of security, then Hushmail may be a wise investment. You can sign up for Hushmail here. If you have questions, their website has a phone number where you can speak to a sales rep directly. Already Have An Email Address? This advice is easy to follow if you are starting your therapy practice from scratch. But what if you’ve been using a free email address for years? Well, you could always just keep on using it. Getting a custom email address is nice, but it probably won’t make or break your practice. Once you’ve done this, then emails to your old address will automatically arrive in your new inbox. You can then reply to them and let the other person know that you’ve updated your email address. After a month or two, almost everyone should have switched over to using your new email address. Even if they don’t, no worries — your old email address will continue to forward any emails it gets, so you won’t miss anything. Ready to make the switch? Try out Google Apps or Hushmail — I think you’ll be glad you did.